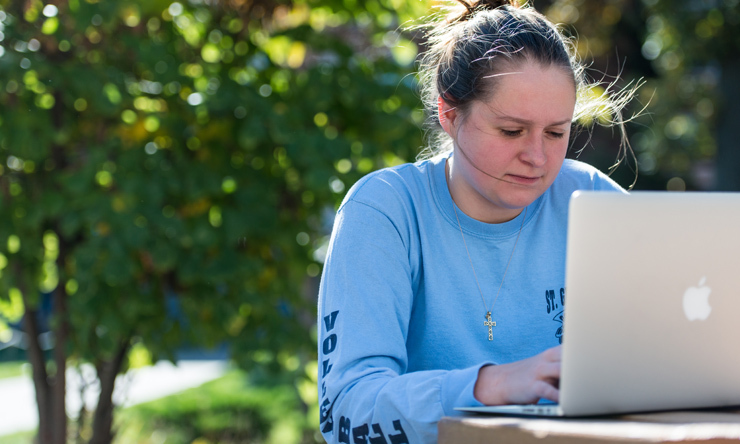 Whether your goal is to report on breaking news in Washington, highlight the good in your local community, or write for Rolling Stone, St. Ambrose gives you the education be an ethical, compelling and successful storyteller. Our students work at Freemont (Neb.) Tribune, NerdWerks, TownNews.com, WNWO-TV, Nickelodeon, CCTV America, and many others. From the day you step into our classrooms, you’ll be invited to contribute your ideas and to participate in our media outlets. Our faculty provide you with the skills and opportunities to be a journalist now and in the future. SAUtv is a 24/7 station that offers programming on education and technology. Our students produce a weekly newscast, operate cameras, edit video on state-of-the-art equipment, broadcast live sporting events, and work as on-air talent. Multimedia Journalism majors learn to write news, in-depth features, sports, and advertising content for diverse outlets: print, radio, TV, and digital media. You will take courses in media law; learn research, interviewing, and reporting skills; and learn hands-on how to use current technologies used in the field. SAUtv is a 24/7 station that offers programming on education and technology. 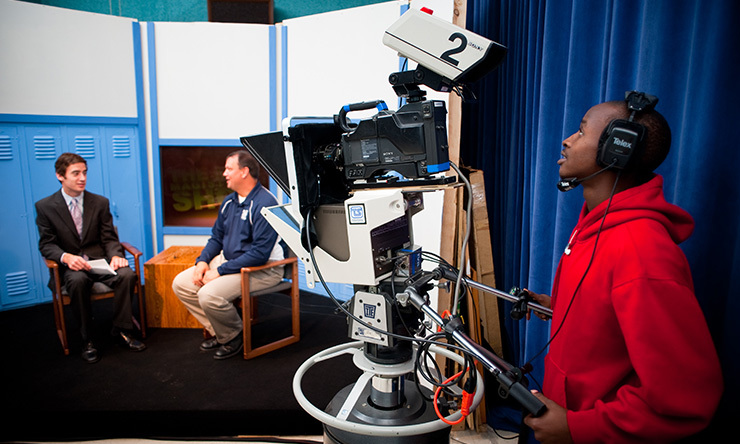 Our students produce a weekly newscast, operate cameras, edit video on state-of-the-art equipment, broadcast live sporting events, and work as on-air talent. Check out the SAUtv YouTube Channel. KALA Radio broadcasts 24/7 on 88.5 and 106.1 FM, featuring everything from blues to gospel to urban to rock. We also have The Stinger, an online-only radio station featuring pop, alternative, and some country music. Best of all, our students choose the shows, program music, edit news specials, volunteer at community events, and broadcast live sporting events under the direction of a staff advisor. 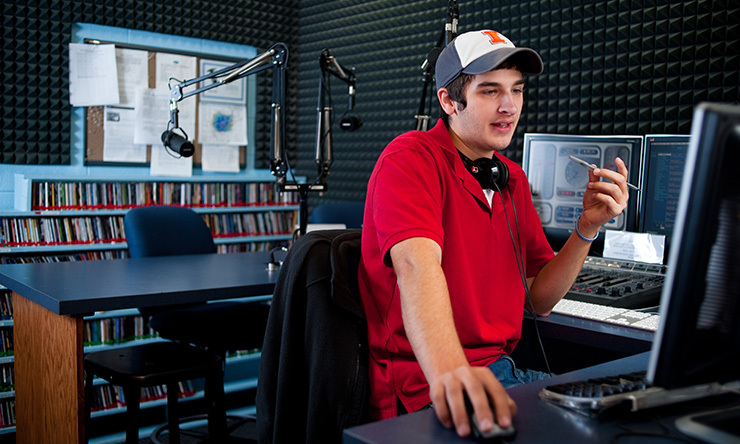 Journalism students have interned with local NBC, ABC, CBS, and FOX affiliates, and newspapers including the Quad-City Times and The Dispatch/Rock Island Argus. Public Relations and Strategic Communication majors have interned with the Quad City Mallards, Genesis Medical Center, The District of Rock Island, Quad-City Times, Quad City River Bandits, and several advertising and public relations agencies. Our graduates are successful as writers, reporters and editors with newspapers, magazines, non-profit organizations, corporate communication departments and creative agencies. Others have established careers in such closely-related fields as advertising and public relations. Some have landed careers in political communications and public affairs. Our multimedia journalism major is excellent preparation for graduate study in communication, business administration, public administration and law. Fabiola Orozco '14 double-majored in English and Journalism, a natural combination for her job as a Marketing Communications Assistant at UnityPoint Health. Shelby Steger '15 works at HON in Muscatine, Iowa, as a Representative and Recruiter. Jessica Denney '09 is Coordinator of Development at the Creative Arts Academy in Davenport. She also paired her journalism major with a Radio/TV major and a theatre minor. This is the suggested plan of study to graduate in four years with a degree in Multimedia Journalism.